Alexander III was the son of King Philip of Macedon (382-336 B.C.). Alexander's mother was Olympias of Epirus and she was the daughter of King Neoptolemus I. King Philip faced enormous problems as he assumed the throne of Macedonia. Macedonia was a poor feudal society. Most of the people were farmers who could barely scratch out a living. At the time his army was small, and only consisted of part time soldiers. Slowly he begin unifying and expanding his kingdom over the next 23 years. King Philip developed Macedonia's mining, trade, agriculture, and military. Before long, he established a permanent professional army that was highly trained. During his reign he transformed Macedonia into a world power, and even brought Greece under his control. The Persian Empire had been a constant threat, and King Philip wanted to attack them. Making things even worse, the Persians still controlled several Greek cities. At this time Philip was the commander of the Panhellinic forces (Greek and Macedonian). In 336 B.C., Philip responded by sending 10,000 men to attack the Persians, but before the invasion could get going Philip was assassinated. Now the task of conquering Persia fell into the hands of his son Alexander. However, things weren't that easy. He had an open rebellion at home. Two of his city-states had rebelled, Athens and Thebes. Alexander demanded that Thebes surrender and when they didn't he burned the city and sold its citizens into slavery. Athens surrendered at once. Then in 334 B.C., Alexander left Macedonia with an army of 30,000 infantrymen, and a cavalry of 5,000. They traveled 20 miles a day before arriving in Turkey. During the next three years Alexander fought three battles against the Persian Empire and King Darius. First, he defeated them in the Battle of Granicus. This gave him control of Asia Minor. Next, on the coast of Syria, Alexander led the attack with his personal regiment. Charging straight into the Persian battle lines, he emerged victorious. Next, more than 100,000 Persians would lose their lives in the Battle of Issus. Then in 331 B.C., he and his troops marched into Egypt. Alexander was now the king of both the Greeks and the Persians. He would spread the Greek culture far and wide. For the next three years Alexander and his forces marched eastward toward the Indus River, conquering the remains of the Persian Empire. Then, in 327 B.C., Alexander decided to invade India. He had no idea what he was facing. In India they encountered monsoons and flooding. The conditions were miserable, and the rain did not let up for two months. Finally, his troops rebelled and told him they did not want to go on. On the way home, Alexander marched his army of 30,000 across harsh desert terrain of the Gedrosian Desert. Almost ¾ of them died of starvation. Alexander returned home to find several active rebellions in process. He executed all of those who were responsible. Then in 323 B.C., he returned to Babylon which he intended to make into his capital. 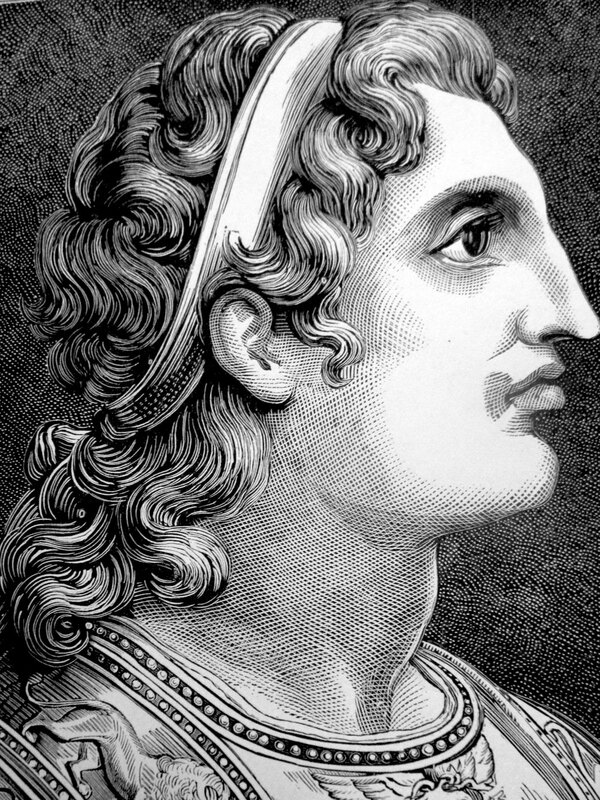 Alexander died on June 10, 323 B.C., at the age of 33. He reigned 13 years.